AUTUMN Food and Drink from the hEdge – 24th October 1-5pm – Hilperton Village Hall – FREE and family friendly. 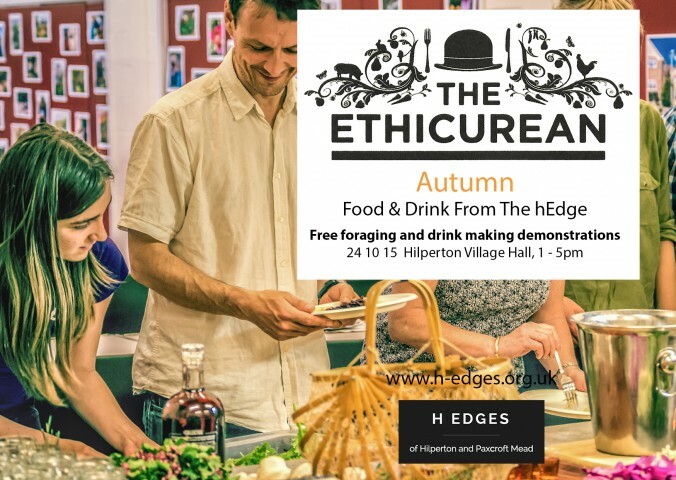 This is the exciting follow up to our Spring event Food and Drink from the hEdge – come to AUTUMN Food and Drink on the 24th of October 2015 at Hilperton Village Hall. They’ll be some more exciting foraging discoveries for all of us with Matt and Jack back from the Ethicurian for an exploration of what autumn can offer the forager around Hilperton. Guided 90 minute walk looking at safe foraged foods and herbs around Hilperton, taking in the natural flora and fauna of the area. Especially looking at autumn berries and fruit – things that might be found would be crab apples, sloes, rowan berries or maybe even plums. Autumn style this time – learn how to make your own hedge and field edge recipe cocktails and family-friendly cordials. There will be some hedgerow food to taste as well! Can’t make the 24th October but would like to be kept up to date with future events via email. I would like to book one place please, please let me know if I need to bring anything.